HomeMeatsTroyer’s Trail Bologna: Try it Today! For three generations we at Shisler’s Cheese House have prided ourselves on providing the best examples of local fare to tourists and locals alike. Troyer’s Trail Bologna is one of the best examples of local fare we can recommend. Our Trail Bologna comes from the fourth generation of the Troyer family, so don’t be fooled by imitators! What is Troyer’s Trail Bologna? A chunky bologna, made with coarse cuts of meat. Trail Bologna originates from the Troyer family in a tiny town of Trail, Ohio. One of the best flavors of Amish Country! Enjoy the smoky taste of Trail Bologna. Trail Bologna was named after Trail, a village in Ohio that is too small to have a zip code of its own! The Troyer family has been making their quality wood-smoked Trail Bologna here for four generations, starting in in 1912, when Michael Troyer created a unique blend of special seasonings to make his now famous all-beef Trail Bologna. The family continues the tradition of excellence to this day by making literally tons of the savory treat daily. How should I eat it? Troyer’s Trail Bologna great served as part of a cheese and charcuterie board. It is usually thinly sliced and served with cubes of cheese. We recommend that it is best enjoyed with Swiss Cheese, Baby Swiss Cheese, Cheddar Cheese, or Hot Pepper Cheese for those with a more daring palate. You can, of course, enjoy it in sandwiches or wraps as well. If you want a real treat, make a Swiss cheese and bologna sandwich and pour yourself a glass of Malbec! Troyer’s themselves recommend a salad of lettuce, spinach, plenty of tomatoes, onions and croutons along with some shredded Swiss and Troyer’s, paired with French dressing. A brilliant lunch! 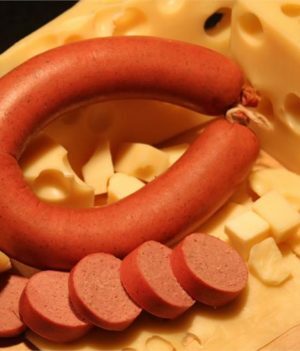 Troyer’s recently added Trail Bologna infused with cheddar cheese or with hot pepper cheese to their product offering. We are proud to carry both. When warmed, the cheese melts, creating an extra delicious treat. Can I give it as a gift? Yes! We think this is a great gift for someone that you want to share some local flavor with or anyone who has lived in Ohio. As it’s so popular, we offer it in several of our gift boxes. Our classic combination box includes a 2 Lb. Baby Swiss Wheel, Troyer’s Trail Bologna Ring, 8 Oz. Colby Cheese, Shisler’s Private Label Mustard, Carr’s Crackers, and Assorted Chocolates. You can also try it with a simple cheese selection, which includes a 1 Lb. Troyer’s Trail Bologna Ring, 3/4 Lb. Wheel of Colby, 3/4 Lb. Wheel of Farmers, and Assorted Chocolates. For more extravagant gifts that include Troyer’s Trail Bologna, try the Amish Country Sampler Gift Box or our recent addition, the Shisler’s Cheese House Deluxe Gift Box. If you would like to create a hamper of your own choosing, simply get in touch and we’ll do what we can to help. Have you tried Troyer’s Trail Bologna? How do you like to eat it? Let us know in the comments below! 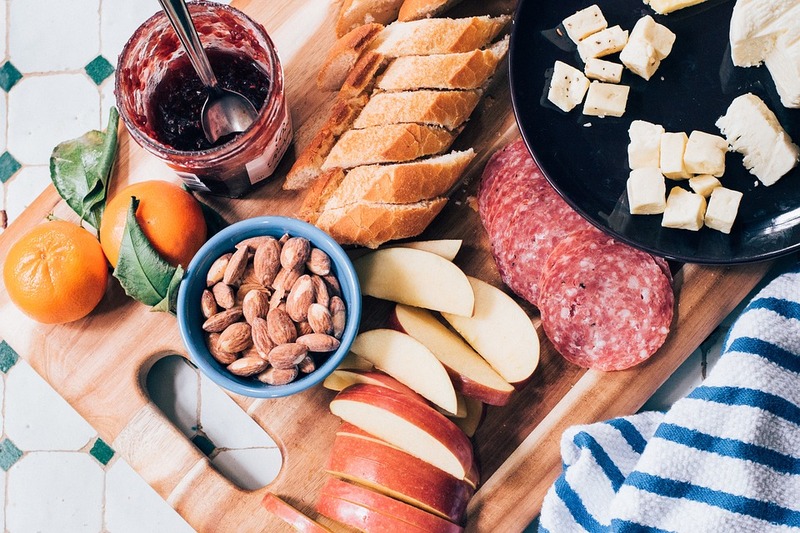 Bring Life To Any Party With A Cheese & Salami Plate!